The practice within the ALBORAN project illustrates a way to guarantee the sustainability of the results and the continuity of the initiatives and pilot projects undertaking during the ALBORAN project. Following a participatory approach and taken into consideration a SWOT analysis, a number of initiatives were identified and put together into a document. Each initiative has been described in the document along with their indicators, estimated budget, timeframe and name of organizations responsible for its execution. Which are nowadays the major challenges in terms of ICZM? How different administrations from different countries can cooperate to improve ICZM? How to ensure the sustainability of results achieved in the framework of ETC projects? The Alboran Project developed by the Government of Andalusia, the Centre for Mediterranean Cooperation (IUCN) and the University of Almeria under the ETC programme POCTEFEX aims to build common procedures and foster cooperation for environmental management in the area of the Alboran Sea. 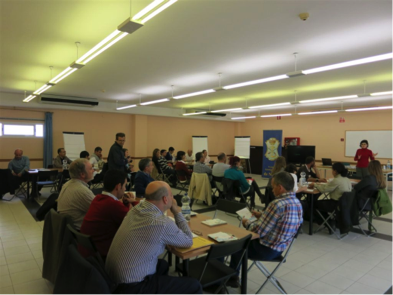 Thus, the projects succeed in creating mechanisms for cross-border cooperation between the two Alboran sea shores. The project also contributed to ensure unified criteria and procedures to have a positive impact on the effective management and conservation of natural resources of the Alboran Sea. In other words, thanks to the Project the Alboran sea can be claimed to be a unified and complete area in terms of environmental and natural resources management. During the last phase of the project, emerged the need to give continuity to the activities and ICZM pilot projects developed during the Project so to ensure the sustainability over time of the mechanisms and strategies put in place during the Alboran project. In this context, the Pooling of project ideas initiative aims to identify new projects as a seed for future cooperation between the two shores and push the application of the Management Protocol of Integrated Coastal Zone in compliance with the commitment Morocco and Spain under the Barcelona Convention. The main objective of the initiative is to identify new projects to follow-up with the results obtained and strategies designed during the Alboran project. The Pooling of project ideas initiative was developed following a participatory approach. In this sense, project ideas identification was the result of a number of Working Groups and Events realized throughout the project. In particular, the Working Group on Integrated Coastal Zone consisting of people who have participated in ICZM processes on both shores, experts in this field scientists and technicians of administrations with competence in management coastal management. 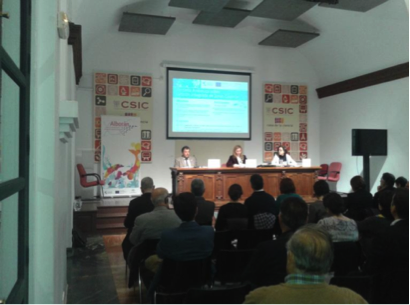 Also the ideas were also built on the conclusions emerged from the Andalusian Day for Integrated Coastal Zone held in March 2013 in Seville with more than 70 participants coming from the public administration and academia from Andalusia and North of Morocco. 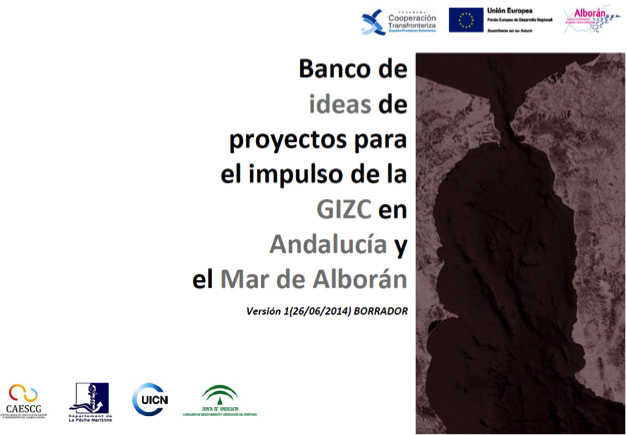 The output of the exercise is a document called Bank of project ideas to foster the ICZM in the Alboran Sea. The document includes a Logical Framework including an objective, a purpose, five results and 17 actions. For all objectives, results and actions indicators, source of verifications and hypothesis have been set. In general terms, one of the critical aspects of cooperation programmes funded by public funds is that in occasion they are not able to guarantee the sustainability of results once the project is over and all public funds have been disbursed. In this sense is crucial for all projects to envisage action to contribute to guarantee the sustainability and perdurabiltiy of results and actions undertaken. At this respect the initiative undertaken within the Alboran project can be considered of great importance since it represents a valid step forward to contribute to ensure the continuity of the initiatives started during the project. The participatory approach also contributes to engage potential and interested stakeholders and guarantee that the initiatives identified are in line with the needs and challenges of the territory as well as with the priorities of the organizations which may have to put them into practice. Funding Source: the initiative was developed within the ALBORAN project, funded by POCTEFEX program (ERDF funds) which has a total budget of 1.425.240,68 euros.